Twins DeAndre and Darion Nelson showed talent for anticipating chart-topping tunes, getting kids onto the dance floor with their deejaying skills and pulling in hundreds of patrons to their teen parties. But what they thought was a successful hobby turned out to be a financial drain. “We’d have all these people at the parties and be counting all this money at the end,” said DeAndre Nelson. “After we looked at how much we put into it, we realized we were losing money." Unable to fit entrepreneur classes into their schedule, the South Gwinnett High students joined Youth Entrepreneurs, an after-school club that condensed those lessons. The national nonprofit has programs in Gwinnett, DeKalb and Cobb counties as well as Atlanta Public Schools — it’s largest footprint. In a “Karate Kid” kind of way, some of the 26 activities in the year-long curriculum don’t at first appear to have much to do with the lesson. But once one of the core values (responsibility, being principled, seeking knowledge, respecting rights and freedoms of others, finding fulfillment in your work, making your own opportunities, exercising sound judgment or creating a win-win focus) is applied to the exercise, a light bulb goes off. As many of his fellow members of the class of 2018 prepare for years of student debt, Berkmar High School senior Alexander Avellaneda will be earning a wage. 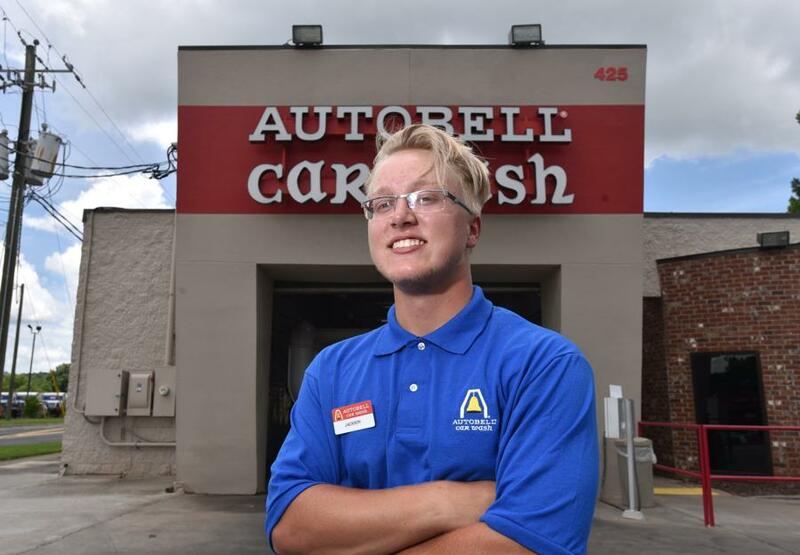 He’s the first member of the Gwinnett County school’s Architecture and Construction Academy to graduate and get a job with a community business partner. To celebrate this milestone, the school held a “signing day” of sorts in the construction lab. Eckardt Electric has donated money, materials and, most importantly, time. When the Berkmar team needed somewhere to practice for the Skills USA competition earlier this spring, Eckhardt let students use its facility and provided training. “Our goal is to get students on the right path, whether it’s college or straight to work,” said Jody Reeves, director of Gwinnett County Schools Academies and Career and Technical Education department. At a recent school board meeting, she presented the progress the program is making in matching students with careers. This year Gwinnett had 4,601 students in automotive, culinary arts, computer science, engineering, health sciences and construction who passed assessments and credentialing to be college and career ready. As many recent high school graduates use the summer to get ready for college about a third of their classmates are headed straight to work. The most recent data from the U.S. Bureau of Labor Statistics shows that of the 2.9 million youth age 16 to 24 who graduated from high school between January and October 2017, about 1.9 million (66.7 percent) were enrolled in college in October. A study released earlier this year by the Brookings Institution showed that of the 10 million young adults in the workforce, not all opportunities are equal. Career advancement prospects are limited for workers with low levels of education, and the data are not promising on this front: only one in five of the working/not-in-school group has an associate’s or bachelor’s degree. The largest share of the working/not-in-school group (nearly half, or 42 percent) has only a high school diploma; another 10 percent has less than a high school education. That is, 5.3 million 18-24 year-olds—17 percent of all young adults—are done with school, at least for now, and are participating in the work world armed with no more than a high school diploma. Georgia has a strong career pathway program. As early as the sixth grade, students are tested on areas of interest and aptitude. Principals and administrators from Gwinnett County Public Schools channeled their inner child with a field trip to local businesses around Gwinnett on Thursday. Patterson said the main reason principals and administrators place such an importance on days like this is to connect what they are teaching in school to what is happening with jobs locally. The visit allowed principals a chance to evaluate and look to see if the current career and technical education (CTE) programs are preparing students for jobs following graduation. The companies that participated in the field trip were Mistubishi Electric Cooling and Heating in Suwanee, ViaSat in Duluth, Aluvision in Duluth and AROL in Buford. For Meadowcreek High School Principal Tommy Welch, the day was a good way to make connections between his school and businesses. “We’re able to walk into their work space and understand what they need from employees,” Welch said. “We can really build a curriculum and apply it to the real world. Although it is a high school, Meadowcreek is advertised as “Meadowcreek U” because of the five separate schools that are offered to students. International Business, Communication and Arts, Information Technology, Health and Hospitality and Science, Technology and Engineering are all offered.